Everyone is constantly looking to be inspired. Inspired to live a life of adventure; inspired to follow their dreams; inspired to prove everyone else wrong despite all odds. People find inspiration in many ways, however once in a while something truly great comes along which just blows your mind, and leaves you wanting to make a noticeable mark on the world. 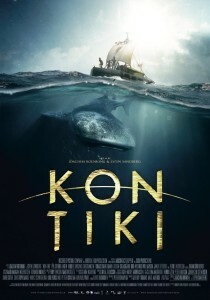 “Kon Tiki” is that something truly great! Having recently run out of watchable movies in our Netflix cue, we have started turning to international feature films. In doing so we stumbled across a new release from Norway which tells the true story of one of the most daring and dramatic sea expeditions of our time. “Kon Tiki”, a film about Thor Heyerdahl’s epic journey from Peru to Polynesia on a primitive balsa wood raft, is a must watch for any traveler, explorer or adventurer, also highly suitable to those who love inspiring true stories! In 1947 Norwegian Explorer Thor Heyerdahl captured the world’s attention when he sailed from Peru to Polynesia on a primitive balsa wood raft. In doing so; in crossing the Pacific for 5,000 miles, he proved that Peruvians were the first to settle Polynesia. After spending a number of years in the Polynesian Islands, Heyerdahl wrote a thesis which contradicted the popular belief that the Islands were discovered by Asian explorers. He claimed that the Peruvian pre-Inca civilization was remarkable, and that the prevailing winds and currents in the Pacific move from East to West rather than West to East. Therefore, 1500 years ago, the pre-incan civilization in Peru could have traveled across the Pacific Ocean and discovered the Polynesian Islands. Thor went on to write a book about the Kon Tiki Expedition which was translated into 70 languages and sold over 50 million copies. He also made a documentary about his adventure while on the raft, which went on to win the academy award in 1951. The documentary made the Kon Tiki expedition went on to win the academy award in 1951. The film is all about adventure and the human spirit. It is both incredibly uplifting and inspiring. It is about believing in yourself and proving everyone else wrong. It’s about a man who committed his entire life to proving something he believed in, even when everyone else believed he was going to die trying. The film itself is incredibly realistic. Shot in open sea, filming took place on the actual raft which made the same journey in 2006 when Heyerdahl’s grandson recreated his famous expedition of 1947. Everyone within the film industry warned them against shooting in open sea, however this decision produced a highly realistic film. Filmakers were hired from Norway who had a personal connection with the story, and the casting was brilliant. Paul Hagan played an incredible Thor Heyerdhal. He portrayed a charming character who was incredibly single minded and committed to his cause, despite the desperation of his crew throughout the more testing parts of the journey. It was refreshing that the script didn’t embellish the facts of the expedition or go overboard with special effects, never deviating from the true story. It was a highly captivating film despite having had no additions to the story line for dramatic effect. This story will resonate with anyone who has been told “no” and with anyone who has been told “this is the truth, and it’s the only truth we will ever accept”. The more Heyerdahl was told “no”, the more determined he was to prove them wrong. The film makes you wan’t to go and seek some kind of adventure and commit yourself to a cause. I might not personally go and build a raft and sail for 5,000 miles in the ocean – but I’ll at least seek some kind of challenge. It is inspirational, and it’s not a fairytale. The most beautiful thing about this movie is that it’s real. 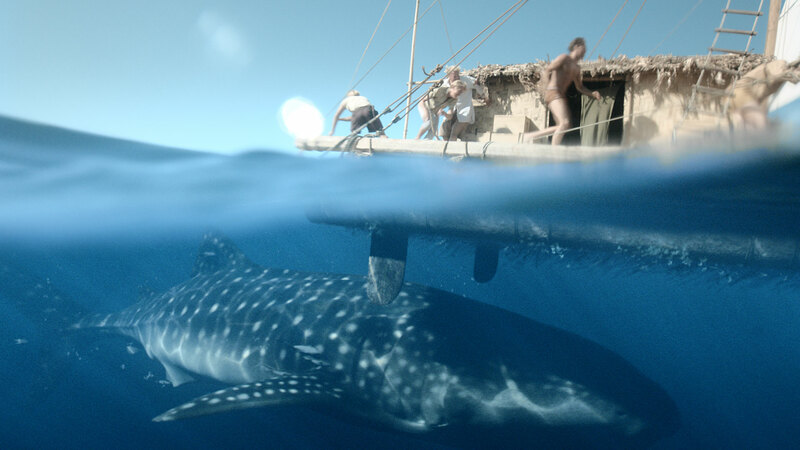 Kon Tiki: Scenes from the film. It’s one of those classics you’ll continue to re-watch for the next decade!! Yes! LOVE this movie, and the book. My Norwegian relatives are crazy proud of Thor Heyerdahl. It’s nice to see his story being revisited like this. Thanks Silvia! I would be too if I was Norwegian – he sounds incredible!